“There’s no such thing as bad weather, just bad clothing." It's an age-old Scandinavian saying that hearty Minnesotans live by. When the snow flies and the temperatures drop, it is not in our nature to hunker down indoors until April. No, instead we simply layer up and continue on with our outdoor adventures. Perhaps one of the most accessible of these is snowshoeing. Requiring little in the way of technique, it’s one of those activities that can be enjoyed by the whole family. 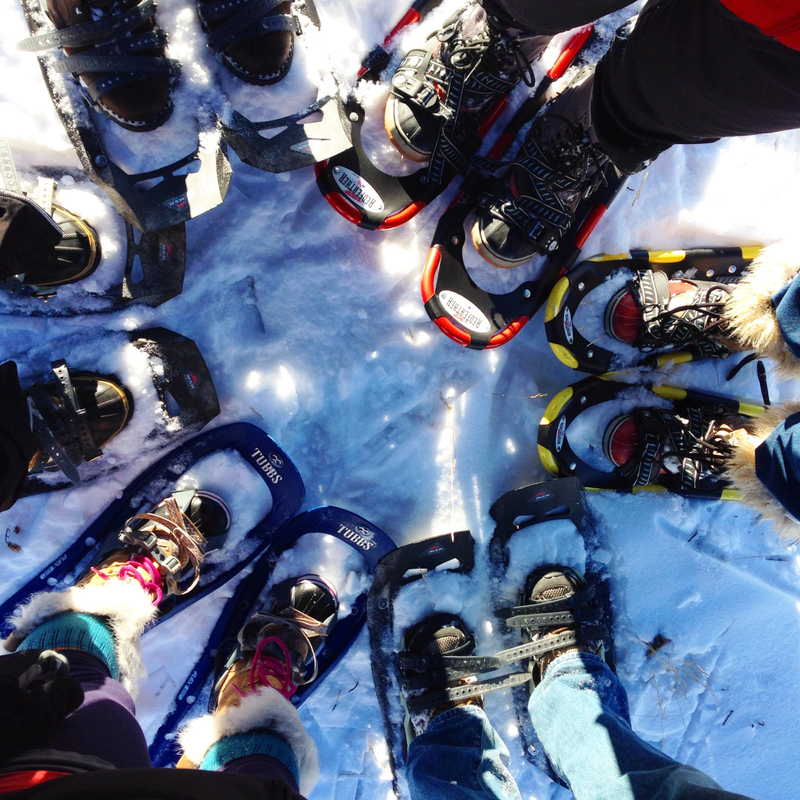 “Snowshoeing is great fun and a good reason to get out in the winter weather, as we as good Minnesotans know we should,” says Gregory Ritter of East Side Neighborhood Services who organizes the Twin Cities Snowshoe Shuffle each February. From wooded, urban snowshoe trails to the peaceful paths of surrounding state parks, there’s no shortage of real estate when it comes to snowshoeing in the Twin Cities. All it takes is the right equipment and a sense of adventure. Here are a few basic tips for getting out and enjoying the winter wonderland by snowshoe. 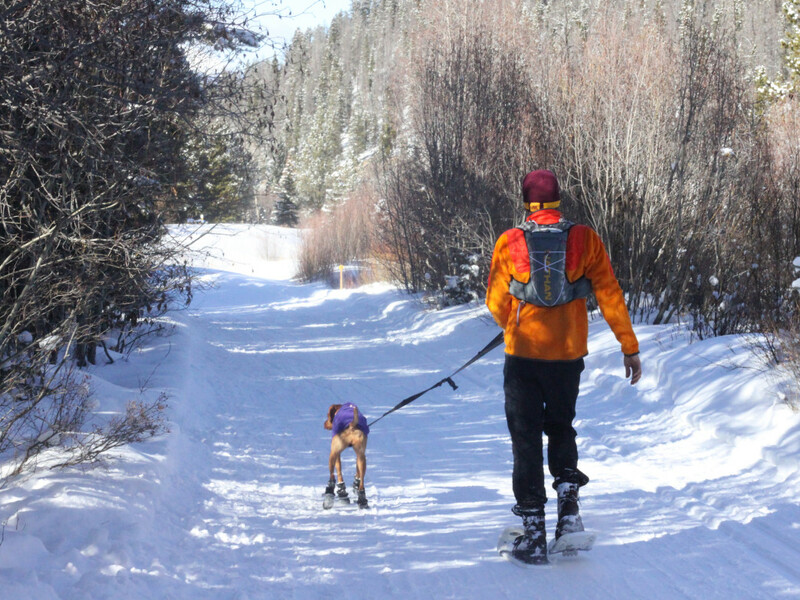 There are plenty of options in terms of snowshoe rentals around the Twin Cities. Theodore Wirth Park , the Three Rivers Parks , and many of the state parks stock rentals. 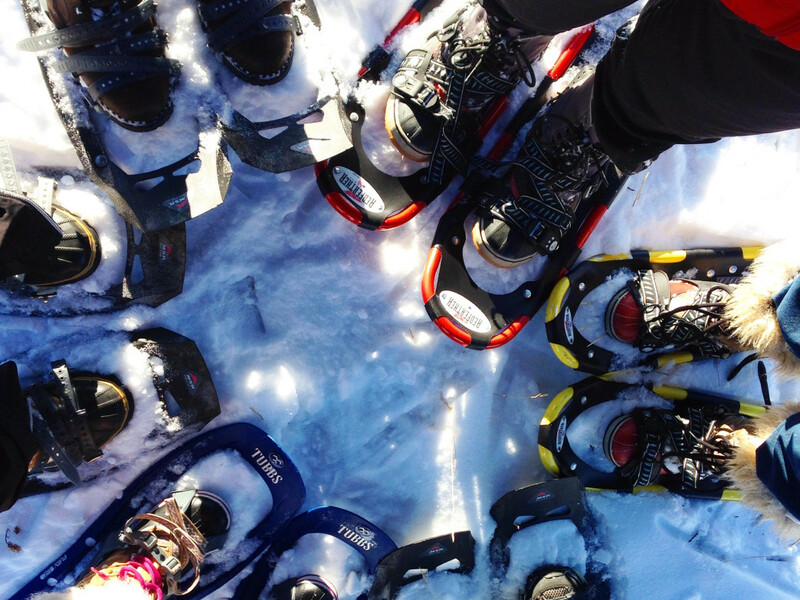 Events like the Twin Cities Snowshoe Shuffle also offer low cost rental equipment. While most of these venues will have someone to assist you with sizing, consider your height and weight, as well as the trails you’ll be navigating when selecting snowshoes. 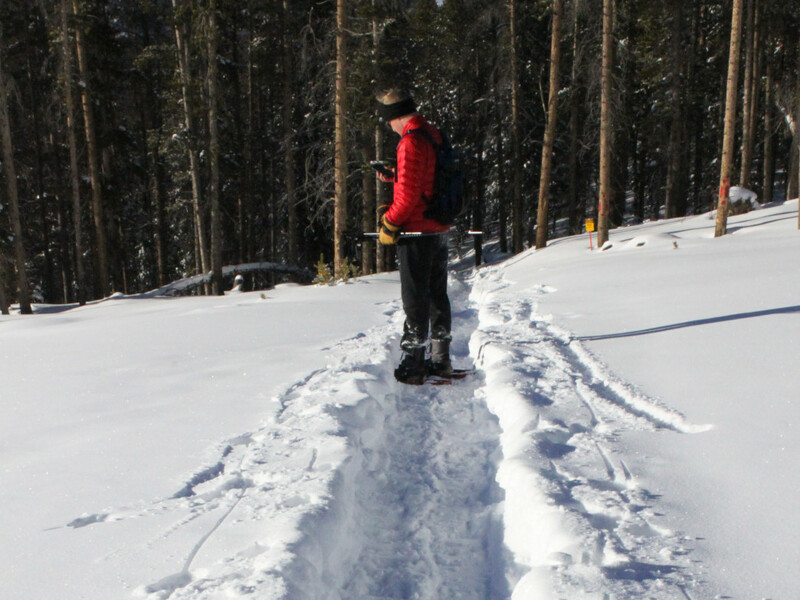 Heavier and taller individuals and deeper, less-traveled trails may also require bigger snowshoes. If you’re thinking of purchasing snowshoes, check out the great selection at Midwest Mountaineering or Hoigaard’s (which also has rentals). Most will cost somewhere between $150-$250. 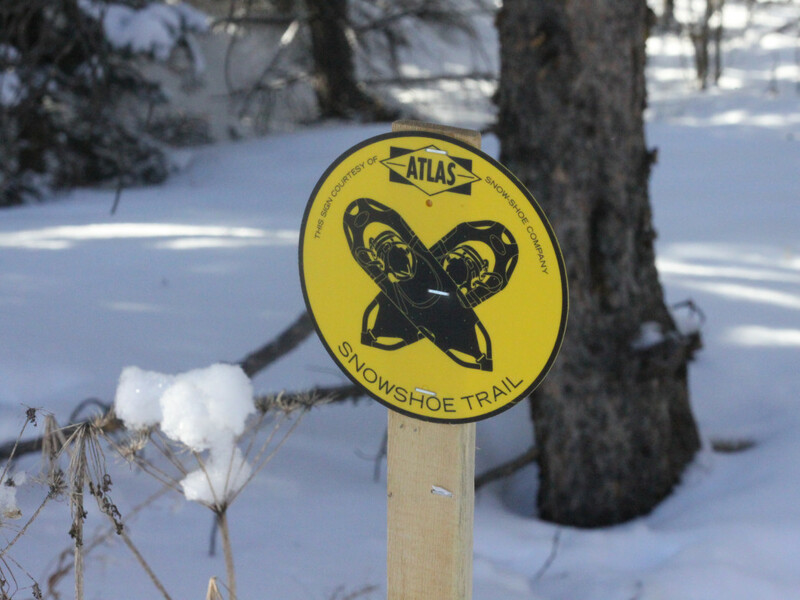 Since snowshoeing is a fairly uncomplicated activity, the majority of snowshoe trails will be beginner friendly. “Afton State Park, Fort Snelling State Park, and some of Minnesota’s other state parks pack trails for winter walking, and snowshoers are welcome to use these trails,” says Amy Barrett of the Minnesota Department of Natural Resources. “But the real advantage of being on snowshoes is that you don’t have to stay on the trails.” To be sure, with snowshoes you can cover uncharted territory without the bushwhacking that is required in summer months. At the Three Rivers Parks , for example, there are anywhere from one to five miles of designated trails, along with plenty of open expanses and shrouded forest paths to explore. Theodore Wirth’s trails will take you over a golf course and onto winding, wooded park paths for the best snowshoeing within city limits. The one thing to remember at all of these parks is to stay off the groomed cross-country ski trails. “Tall winter boots are ideal, but hiking boots will do, especially if you add waterproof gaiters to keep snow from getting in at your ankles,” Barrett recommends. If you’re going with winter boots, make sure they fit correctly and won’t fall off your feet once you get them strapped into the snowshoes. Snowshoeing doesn’t require much in the way of instruction. “Your technique will emerge quickly,” says Ritter. “Just walk and have fun.” If you think you might have issues with balance, bring a pair of trekking poles along to help keep you upright. Especially if you anticipate encountering deep snow, they can add much-needed stability. While many trails will be on solid ground, you may also choose to traverse lakes, ponds, creeks, or rivers. If you do, keep in mind that the DNR states that ice should be at least four inches thick to walk on. Unfortunately, air temperature can’t help you determine ice thickness, so even on the coldest days, there can be open water and thin ice. If there is any question, terra firma is your best bet.